Mark your calendars! This event is not to be missed. LadeeBee wants to celebrate you - our valuable customer! 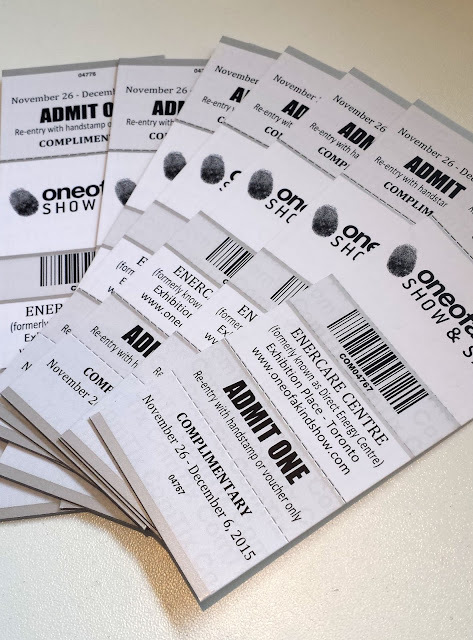 On Tuesday November 17th 7-9 stop by and enjoy complimentary refreshments and enter for a chance to win one of four pairs of tickets to Toronto's One of a Kind Show and Sale. 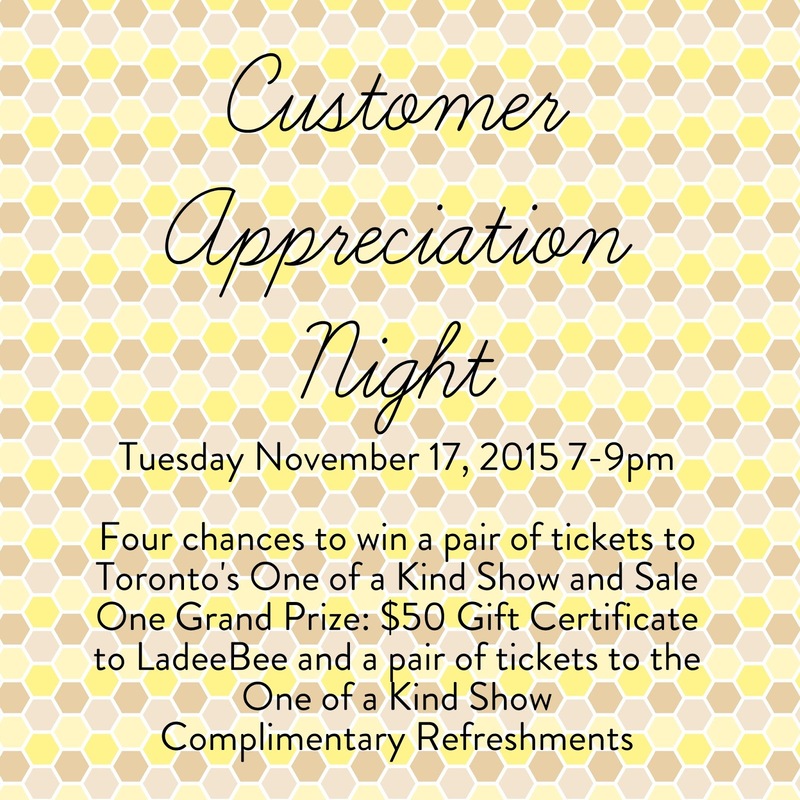 Also, one grand prize of a $50 gift certificate to LadeeBee and a pair of tickets to the One of Kind Show.